I recently redeemed 20,000 Singapore Airlines KrisFlyer miles and $45 for a one way trip in Business Class from Medellin, Colombia to Buenos Aires. That’s over seven hours of flying up front for only 20,000 miles. United would have charged 40,000 for me to book the exact same award space. American Airlines would have charged 32,500 to fly its partner LAN Airlines in Business Class. 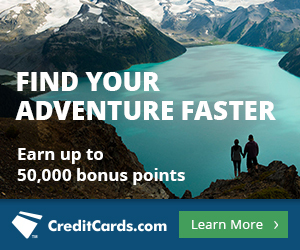 I earn ThankYou Points with my Citi ThankYou® Premier Card, which comes with 40,000 bonus points after spending $3,000 in the first three months. The card also comes with 3x points per dollar on travel and gas and 2x on dining and entertainment. It is one of only three cards I usually carry abroad. Getting the miles and searching for award space were very easy, but something very surprising happened while booking that got me an even better award than I was expecting. How did I discover this sweet spot on the Singapore award chart? How did I search for award space? How did I book the award? What weird thing happened during the award booking? It’s also how I found that Singapore Airlines only charges 12,500 miles for an award within South America and only 20,000 miles in Business Class. Roundtrip Singapore Award Chart. Divide by two for a one way award. United and American both break South America into two regions, so my award would have been 40,000 United miles for the exact same Business Class flights or 32,500 American Airlines miles on partner LAN Airlines. Singapore Airlines is a member of the Star Alliance, so its miles can be used to book awards on all 27 member airlines of the alliance. Singapore collects fuel surcharges on award flights, though, so you only want to use Singapore miles to book awards on United, Copa, TACA, and Avianca, since Singapore doesn’t collect fuel surcharges on these airlines’ flights. I knew I would be flying Avianca or TACA Peru (they’re actually one company) from Medellin to Buenos Aires. The two most direct routings are via Bogota or Lima. I searched united.com because (I thought) it accurately displayed all TACA and Avianca award space. Any award space on these airlines visible at united.com should be bookable by calling Singapore Airlines. I found an award like this vis Lima. I didn’t like getting in at 4:30 AM, but it was all I saw. I noted the date, cabin, and flight numbers then transferred my points. Once I found award space, I transferred 19,000 ThankYou Points to Singapore miles. This takes between 22 and 36 hours, and I detailed the process here. Once the points hit, I checked united.com, and the space I wanted was still there, so I called Singapore. Singapore Airlines only displays its own award space online, so to book a partner award, you have to call (800) 742-3333. Luckily there is no phone ticketing fee. I told the agent that I wanted to fly on December 1 from Medellin to Buenos Aires in Business Class. I didn’t read him the flights because I figured he would find them easily. Much to my surprise, he started naming other departure times than I was expecting. It turned out he found award space in Business Class from Medellin to Bogota to Buenos Aires. This was far preferable to the award space I had found because it left later, got in at 6:30 AM instead of 4:30 AM, and featured one short and one long flight instead of two medium flights. I figure I’ll get more sleep on this itinerary. I was very surprised he saw award space that united.com hadn’t displayed, but I booked it without hesitation. The award had 100.20 Singapore Dollars worth of taxes. That’s about $80. There were no fees of any kind for the booking because Singapore doesn’t charge a phone-booking fee or a fee for booking within 21 days of departure like many airlines do. At the airport, I had 71,000 Colombian pesos ($35) returned to me because I am not Colombian, and I was in the country for less than 90 days. That made the total taxes only $45. I was a little nervous about whether I really had a ticket. I mean, where had that space come from? I called Avianca to select seats. They saw my ticket, so I knew I was good to go. It is always a good idea to contact the operating carrier to select seats on an award ticket to confirm that they see your reservation and to get the seats you want. Why Didn’t United.com Show the Space? I have no idea. United.com does see the Bogota to Buenos Aires flight some days. I really have no guess why united.com didn’t show Avianca award space that existed for tonight’s flight, but I will be searching ANA from now on for Avianca award space. Seven hours of flying in Business Class for 20,000 miles + $45 is a steal. You should always check the award charts of all the partners of your transferable points currency to see if there is a sweet spot on one of the charts for the award you want. I saved myself 20,000 miles by not blowing 40,000 United miles for these flights, which is what I think most Americans would have unknowingly done. Singapore miles are extremely easy to get (with about 36 hour delay) because they are transfer partners of every transferable point. 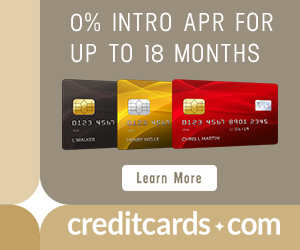 My favorite way to rack up Singapore miles is with the Citi ThankYou® Premier Card. Next articleBuy Up to 250k AA Miles. Good Deal? I foolishly transferred UR points to Krisflyer a few months back because the SQ award chart was cheaper for my routing by about 15k miles. However, since the routing was complex, it involved mulitple carriers with fuel surcharges. It was foolish only because I didn’t check how much the ticket would cost in cash (beside s points) before making the transfer. In the end, I went with the more expensive UA option since the Krisflyer award would have cost an extra $350 in fuel taxes. How was the biz class service on Avianca? I was pleasantly surprised by the bed. The service was average, probably on par with an American airline. I’ll write a Trip Report soon. Nice find … but you could have done it in business for 30,000 miles return with US Airways using LAN with one free stop. Last year I got 2 business BOG-PTY-SCL-PTY-BOG for friends for 60,000 miles. It was in COPA … not as good as LAN. Yes, but I didn’t have a roundtrip in mind. Did they do this automatically or is there a booth you have to go to? The check in agent told me where to go to get this stamp. Then she gave me a piece of paper and told me where to go to get my 71,000 pesos. On a flight from Bogota to the USA a few weeks earlier, I had done the first part but not the second (ie I didn’t get money back.) Not sure if I screwed up on that one or if there was something different about my tickets. Scott, so u got 71K back on your trip leaving Columbia? I know this is an old post but I haven’t had much luck finding information on this topic. I’ve been trying to redeem KrisFlyer miles for travel on Avianca and Copa Airlines. The agent stated you can only use KrisFlyer miles on United and Air Canada. I’m trying to get from GRU to CLT. Is this true? Of course that isn’t true. Hang up. Call back.